viaLibri ~ Highly decorative Chinese painting on raw silk. HERONS ABOVE AND ON A TREE. 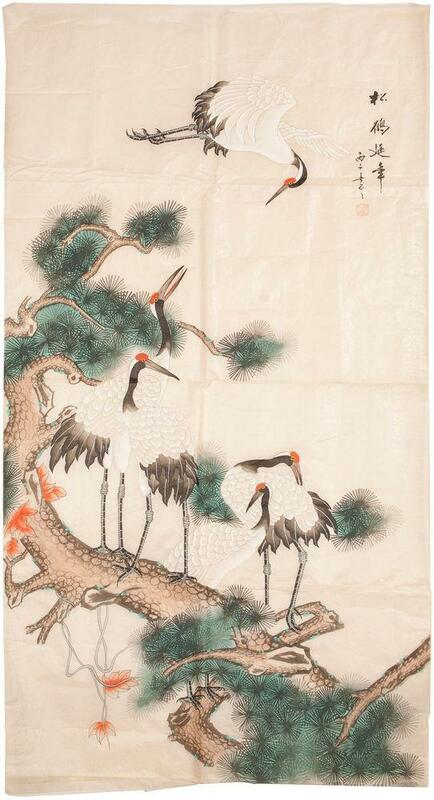 Highly decorative Chinese painting on raw silk. - China, 1996. Measuring 123 x 60 cm; previously framed. With calligraphic inscription and artist's chop.